Viknesh Vijayenthiran April 10, 2019 Comment Now! The current BMW 1-Series hatchback is somewhat of an oddity in the world of compact cars, because it comes with a sporty rear-wheel-drive layout and available inline-6 engines. This is odd because the rear-wheel-drive layout eats into interior space, making an already tight cabin even tighter, while the longitudinally-mounted inline-6 makes the front of the car longer, which isn’t ideal for city cars. 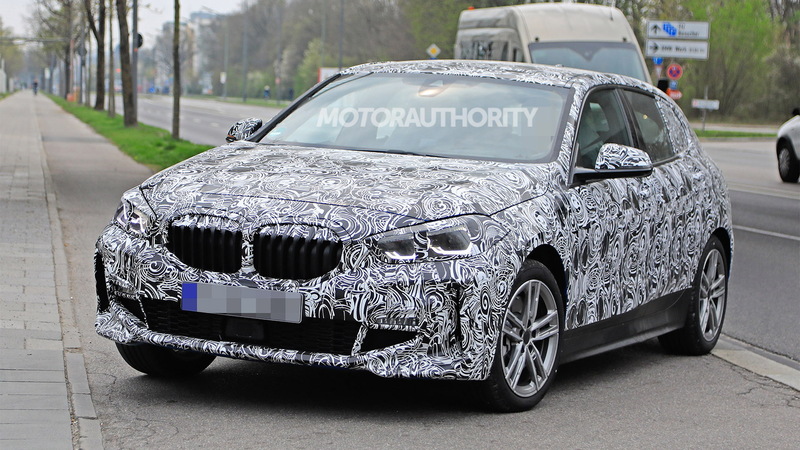 While performance buffs will loathe it, BMW has decided that its next 1-Series hatchback will make a switch to an updated version of the front-wheel-drive UKL platform, known as FAAR. The UKL platform is found in a number of Minis and compact BMWs, including a 1-Series sedan sold exclusively in China. The new 1-Series hatch will be the first application of the FAAR platform. 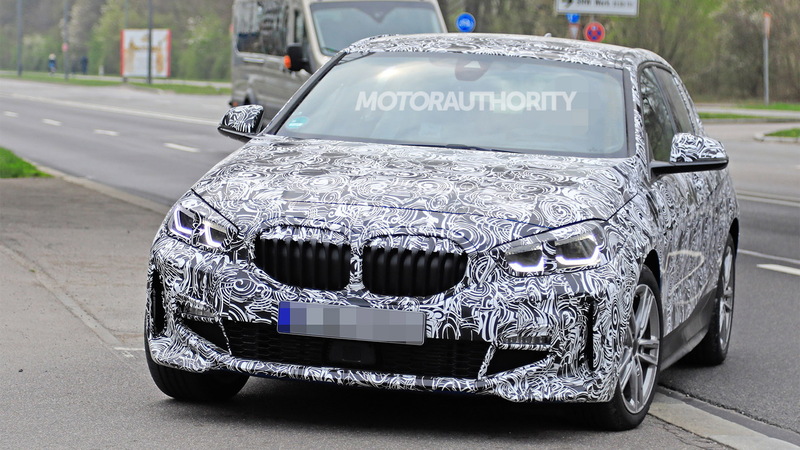 The spy shots and video reveal a more athletic look for the new 1-Series hatch. The hood doesn’t appear as long as on the current model since the FAAR platform has transverse mounting for engines. And the roof sits lower and slopes more towards the rear. The car also appears wider than the current model. 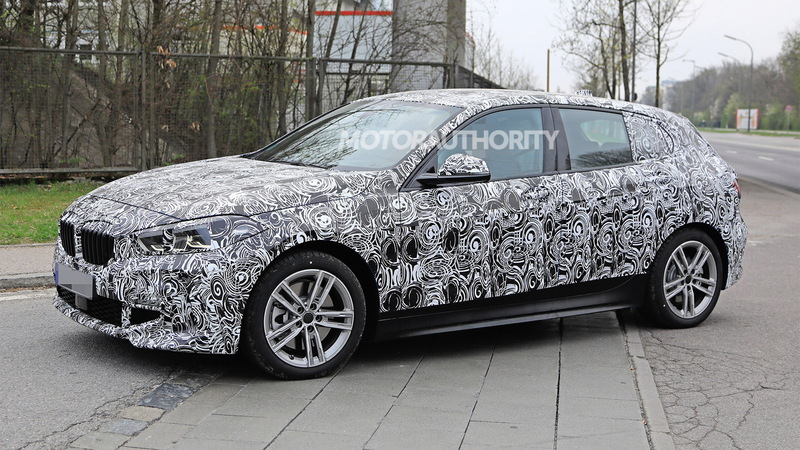 This prototype is for a 5-door model. 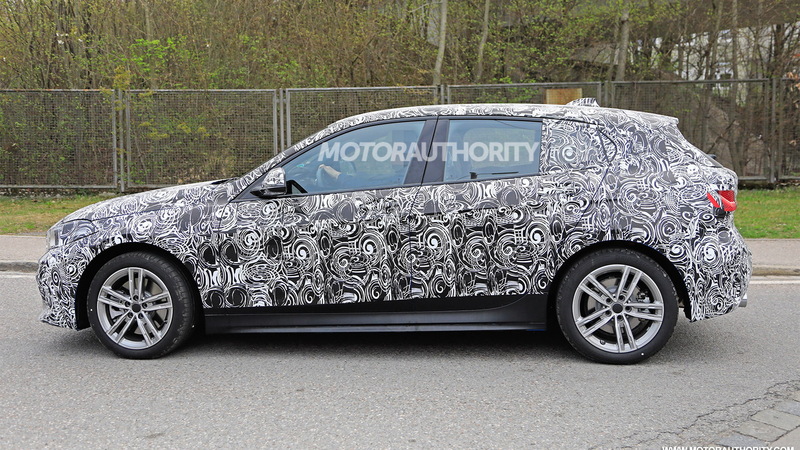 It’s unlikely BMW will once again offer a 3-door option, due to a lack of demand. BMW in March said buyers can expect more space both in the cabin and the trunk compared to the current 1-Series hatch. The automaker has confirmed 1.18 inches more knee room in the rear and an extra 0.7 cubic feet in the trunk. We know the FAAR platform will also bring some weight savings via lighter materials, helping to aid both performance and economy. All-wheel drive will be available and likely a standard feature on more potent versions. Sadly, we’re unlikely to see one of BMW’s signature inline-6 engines fitted to the car. The most potent engine in the new 1-Series hatch at launch will be a 2.0-liter turbocharged inline-4 delivering 306 horsepower. 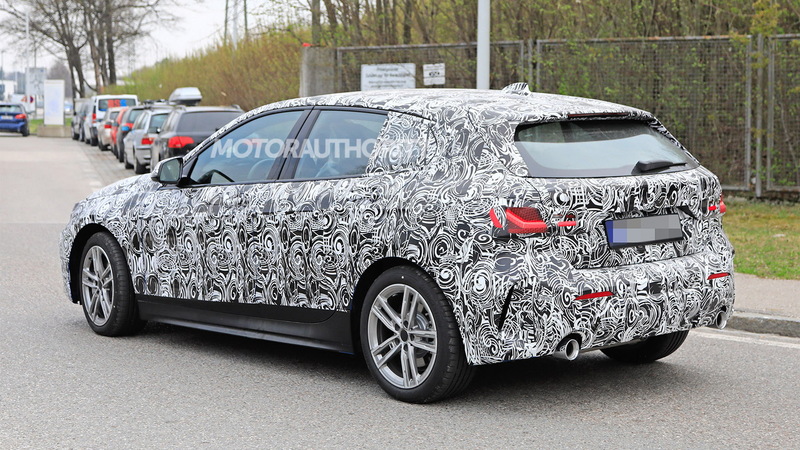 It will feature in an M135i xDrive M Performance model. A plug-in hybrid option is also expected. A debut should take place in the lead up to September's 2019 Frankfurt International Motor Show, and no, the car isn't likely to reach the United States. We'll get a related 2-Series Gran Coupe compact sedan instead.